Taxonomy is the science of describing, naming, and classifying living and extinct organisms (the term is also employed in a wider sense to refer to the classification of all things, including inanimate objects, places and events, or to the principles underlying the classification of things). The term taxonomy is derived from the Greek taxis ("arrangement;" from the verb tassein, meaning “to classify”) and nomos (“law” or “science,” such as used in “economy”). An important science, taxonomy is basic to all biological disciplines, since each requires the correct names and descriptions of the organisms being studied. However, taxonomy is also dependent on the information provided by other disciplines, such as genetics, physiology, ecology, and anatomy. Naming, describing, and classifying living organisms is a natural and integral activity of humans. Without such knowledge, it would be difficult to communicate, let alone indicate to others what plant is poisonous, what plant is edible, and so forth. The book of Genesis in the Bible references the naming of living things as one of the first activities of humanity. Some further feel that, beyond naming and describing, the human mind naturally organizes its knowledge of the world into systems. In the later decades of the twentieth century, cladistics, an alternate approach to biological classification, has grown from an idea to an all-encompassing program exerting powerful influence in classification and challenging Linnaean conventions of naming. For a long time, the term taxonomy was unambiguous and used for the classification of living and once-living organisms, and the principles, rules and procedures employed in such classification. This use of the term is sometimes referred to as "biological classification" or "scientific classification." Beyond classification, the discipline or science of taxonomy historically included the discovering, naming, and describing of organisms. Over time, however, the word taxonomy has come to take on a broader meaning, referring to the classification of things, or the principles underlying the classification. Almost anything may be classified according to some taxonomic scheme, such as stellar and galactic classifications, or classifications of events and places. An authoritative definition of taxonomy (as used in biology) is offered by Systematics Agenda 2000: Charting the Biosphere (SA2000), a global initiative to find, describe, and classify the world's species. Launched by the American Society of Plant Taxonomists, the Society of Systematic Biologists, and the Willi Hennig Society, and in cooperation with the Association of Systematic Collections, SA2000 defines taxonomy as "the science of discovering, describing, and classifying species or groups of species." The Select Committee on Science and Technology of the United Kingdom Parliament also offers an official definition for taxonomy: "We use taxonomy to refer to the activities of naming and classifying organisms, as well as producing publications detailing all known members of a particular group of living things." The term "systematics" (or "systematic biology") is sometimes used interchangeably with the term taxonomy. The words have a similar history and similar meanings: Over time these have been used as synonyms, as overlapping, or as completely complementary. In general, however, the term systematics includes an aspect of phylogenetic analysis (the study of evolutionary relatedness among various groups of organisms). That is, it deals not only with discovering, describing, naming, and classifying living things, but also with investigating the evolutionary relationship between taxa (a taxonomic group of any rank, such as sub-species, species, family, genus, and so on), especially at the higher levels. Thus, according to this perspective, systematics not only includes the traditional activities of taxonomy, but also the investigation of evolutionary relationships, variation, speciation, and so forth. However, there remain disagreements on the technical differences between the two terms—taxonomy and systematics—and they are often used interchangeably. "Alpha taxonomy" is a sub-discipline of taxonomy and is concerned with describing new species, and defining boundaries between species. Activities of alpha taxonomists include finding new species, preparing species descriptions, developing keys for identification, and cataloging the species. "Beta taxonomy" is another sub-discipline and deals with the arrangement of species into a natural system of classification. Codes have been created to provide a universal and precise system of rules for the taxonomic classification of plants, animals, and bacteria. The International Code of Botanical Nomenclature (ICBN) is the set of rules and recommendations dealing with the formal botanical names that are given to plants. Its intent is that each taxonomic group ("taxon", plural "taxa") of plants has only one correct name, accepted worldwide. The International Code of Zoological Nomenclature (ICZN) is a set of rules in zoology to provide the maximum universality and continuity in classifying animals according to taxonomic judgment. The International Code of Nomenclature of Bacteria (ICNB) governs the scientific names for bacteria. Biologists group and categorize extinct and living species of organisms by applying the procedures of Scientific classification or biological classification. Modern classification has its roots in the system of Carolus Linnaeus, who grouped species according to shared physical characteristics. Groupings have been revised since Linnaeus to reflect the Darwinian principle of common descent. Molecular systematics, which uses genomic DNA analysis, has driven many recent revisions and is likely to continue to do so. Scientific classifications, or taxonomies, are frequently hierarchical in structure. Mathematically, a hierarchical taxonomy is a tree structure of classifications for a given set of objects. At the top of this structure is a single classification, the root node, which is a category that applies to all objects in the tree structure. Nodes below this root are more specific classifications or categories that apply to subsets of the total set of classified objects. Various other ranks are sometimes inserted, such as subclass and superfamily. Carolus Linnaeus established the scheme of using Latin generic and specific names in the mid-eighteenth century (see species); later biologists extensively revised his work. At the top of the taxonomic classification of organisms, one can find either Domain or Kingdom. For two centuries, from the mid-eighteenth century until the mid-twentieth century, organisms were generally considered to belong to one of two kingdoms, Plantae (plants, including bacteria) or Animalia (animals, including protozoa). This system, proposed by Carolus Linnaeus in the mid-eighteenth century, had obvious difficulties, including the problem of placing fungi, protists, and prokaryotes. There are single-celled organisms that fall between the two categories, such as Euglena, that can photosynthesize food from sunlight and, yet, feed by consuming organic matter. In 1969, American ecologist Robert H. Whittaker proposed a system with five kingdoms: Monera (prokaryotes—bacteria and blue-green algae), Protista (unicellular, multicellular, and colonial protists), Fungi, Plantae, and Animalia. This system was widely used for three decades, and remains popular today. More recently, the "domain," a classification level higher than kingdom, has been devised. Also called a "Superregnum" or "Superkingdom," domain is the top-level grouping of organisms in scientific classification. One of the reasons such a classification has been developed is because research has revealed the unique nature of anaerobic bacteria (called Archaeobacteria, or simply Archaea). These "living fossils" are genetically and metabolically very different from oxygen-breathing organisms. Various numbers of Kingdoms are recognized under the domain category. In the three-domain system, which was introduced by Carl Woese in 1990, the three groupings are: Archaea; Bacteria; and Eukaryota. This scheme emphasizes the separation of prokaryotes into two groups, the Bacteria (originally labelled Eubacteria) and the Archaea (originally labeled Archaebacteria). In some classifications, authorities keep the kingdom as the higher-level classification, but recognize a sixth kingdom, the Archaebacteria. Coexisting with these schemes is yet another scheme that divides living organisms into the two main categories (empires) of prokaryote (cells that lack a Nucleus: Bacteria and so on) and eukaryote (cells that have a nucleus and membrane-bound organelles: Animals, plants, fungi, and protists). The usual classifications of five representative species follow: the fruit fly so familiar in genetics laboratories (Drosophila melanogaster); humans (Homo sapiens); the peas used by Gregor Mendel in his discovery of genetics (Pisum sativum); the fly agaric mushroom Amanita muscaria; and the bacterium Escherichia coli. The eight major ranks are given in bold; a selection of minor ranks is given as well. 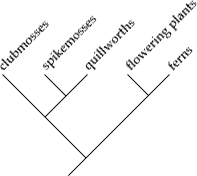 Botanists and mycologists use systematic naming conventions for taxa higher than genus by combining the Latin stem of the type genus for that taxon with a standard ending characteristic of the particular rank. (See below for a list of standard endings.) For example, the rose family Rosaceae is named after the stem "Ros-" of the type genus Rosa plus the standard ending "-aceae" for a family. Zoologists use similar conventions for higher taxa, but only up to the rank of superfamily. Higher taxa and especially intermediate taxa are prone to revision as new information about relationships is discovered. For example, the traditional classification of primates (class Mammalia—subclass Theria—infraclass Eutheria—order Primates) is challenged by new classifications such as McKenna and Bell (class Mammalia—subclass Theriformes— infraclass Holotheria—order Primates). These differences arise because there are only a small number of ranks available and a large number of proposed branching points in the fossil record. Within species, further units may be recognized. Animals may be classified into subspecies (for example, Homo sapiens sapiens, modern humans). Plants may be classified into subspecies (for example, Pisum sativum subsp. sativum, the garden pea) or varieties (for example, Pisum sativum var. macrocarpon, snow pea), with cultivated plants getting a cultivar name (for example, Pisum sativum var. macrocarpon "Snowbird"). Bacteria may be classified by strains (for example Escherichia coli O157:H7, a strain that can cause food poisoning). Taxa above the genus level are often given names derived from the Latin (or Latinized) stem of the type genus, plus a standard suffix. The suffixes used to form these names depend on the kingdom, and sometimes the phylum and class, as set out in the table below. The stem of a word may not be straightforward to deduce from the nominative form as it appears in the name of the genus. For example, Latin "homo" (human) has stem "homin-", thus Hominidae, not "Homidae". Classification of organisms is a natural activity of humans and may be the oldest science, as humans needed to classify plants as edible or poisonous, snakes and other animals as dangerous or harmless, and so forth. The earliest known system of classifying forms of life comes from the Greek philosopher Aristotle, who classified animals based on their means of transportation (air, land, or water), and into those that have red blood and have live births and those that do not. Aristotle divided plants into trees, shrubs, and herbs (although his writings on plants have been lost). In 1172, Ibn Rushd (Averroes), who was a judge (Qadi) in Seville, translated and abridged Aristotle's book de Anima (On the Soul) into Arabic. His original commentary is now lost, but its translation into Latin by Michael Scot survives. The exploration of parts of the New World next brought to hand descriptions and specimens of many novel forms of animal life. In the latter part of the sixteenth century and the beginning of the seventeenth, careful study of animals commenced, which, directed first to familiar kinds, was gradually extended until it formed a sufficient body of knowledge to serve as an anatomical basis for classification. Advances in using this knowledge to classify living beings bear a debt to the research of medical anatomists, such as Hieronymus Fabricius (1537 – 1619), Petrus Severinus (1580 – 1656), William Harvey (1578 – 1657), and Edward Tyson (1649 – 1708). Advances in classification due to the work of entomologists and the first microscopists is due to the research of people like Marcello Malpighi (1628 – 1694), Jan Swammerdam (1637 – 1680), and Robert Hooke (1635 – 1702). John Ray (1627 – 1705) was an English naturalist who published important works on plants, animals, and natural theology. The approach he took to the classification of plants in his Historia Plantarum was an important step towards modern taxonomy. Ray rejected the system of dichotomous division by which species were classified according to a pre-conceived, either/or type system, and instead classified plants according to similarities and differences that emerged from observation. Two years after John Ray's death, Carolus Linnaeus (1707–1778) was born. His great work, the Systema Naturae, ran through twelve editions during his lifetime (1st ed. 1735). In this work nature was divided into three realms: mineral, vegetable, and animal. Linnaeus used four ranks: class, order, genus, and species. He consciously based his system of nomenclature and classification on what he knew of Aristotle (Hull 1988). Linnaeus is best known for his introduction of the method still used to formulate the scientific name of every species. Before Linnaeus, long, many-worded names had been used, but as these names gave a description of the species, they were not fixed. By consistently using a two-word Latin name—the genus name followed by the specific epithet—Linnaeus separated nomenclature from taxonomy. This convention for naming species is referred to as binomial nomenclature. Some major developments in the system of taxonomy since Linnaeus were the development of different ranks for organisms and codes for nomenclature (see Domain and Kingdom systems, and Universal Codes above), and the inclusion of Darwinian concepts in taxonomy. According to Hull (1988), "in its heyday, biological systematics was the queen of the sciences, rivaling physics." Lindroth (1983) referenced it as the "most lovable of the sciences." But at the time of Darwin, taxonomy was not held in such high regard as it was earlier. It gained new prominence with the publication of Darwin's The Origin of Species, and particularly since the Modern Synthesis. Since then, although there have been, and continue to be, debates in the scientific community over the usefulness of phylogeny in biological classification, it is generally accepted by taxonomists today that classification of organisms should reflect or represent phylogeny, via the Darwinian principle of common descent. A vertical orientation yields a cladogram reminiscent of a tree. Taxonomy remains a dynamic science, with developing trends, diversity of opinions, and clashing doctrines. Two of these competing groups that formed in the 1950s and 1960s were the pheneticists and cladists. Begun in the 1950s, the pheneticists prioritized quantitative or numerical analysis and the recognition of similar characteristics among organisms over the alternative of speculating about process and making classifications based on evolutionary descent or phylogeny. Cladistic taxonomy or cladism groups organisms by evolutionary relationships, and arranges taxa in an evolutionary tree. Most modern systems of biological classification are based on cladistic analysis. Cladistics is the most prominent of several taxonomic systems, which also include approaches that tend to rely on key characters (such as the traditional approach of evolutionary systematics, as advocated by G. G. Simpson and E. Mayr). Willi Hennig (1913-1976) is widely regarded as the founder of cladistics. Hull, D. L. 1988. Science as a Process: An Evolutionary Account of the Social and Conceptional Development of Science. Chicago: University of Chicago Press. Lindroth, S. 1983. The two faces of Linnaeus. In Linnaeus, the Man and his Work (Ed. T. Frangsmyr) 1-62. Berkeley: University of California Press. This page was last modified on 8 September 2008, at 21:22.